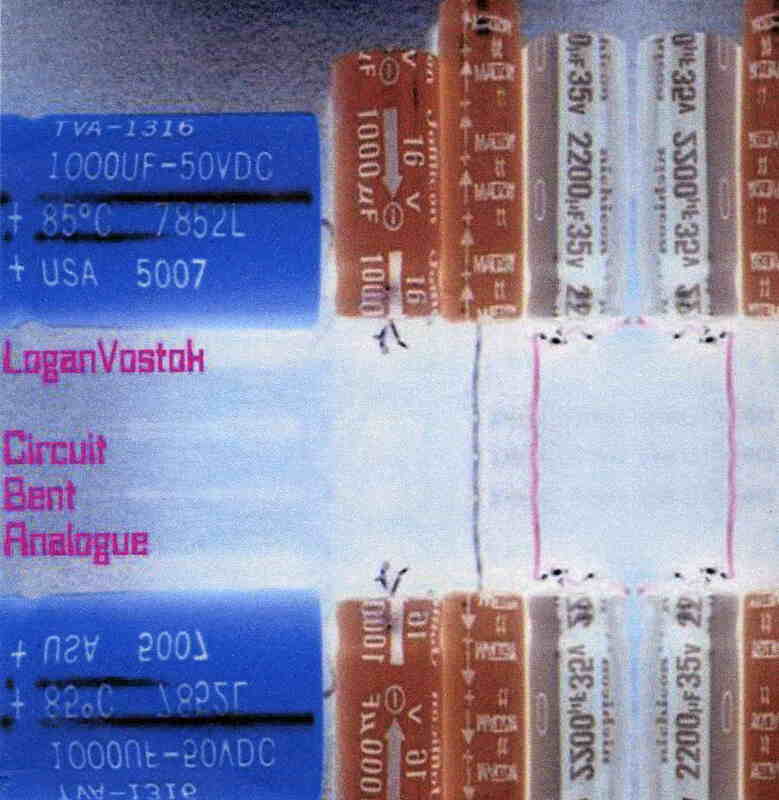 A rather fascinating DIY project, Circuit Bent Analogue is the brainchild of Paul Oppenheim who records under the pseudonym Logan Vostok. The pieces on Circuit Bent Analogue use primarily circuit bent technology, a process whereby the printed circuit boards of sundry electronic instruments are deliberately altered or tampered with. The result is an exploration of the farthest limits of electronic technology. Circuit Bent Analogue is firmly rooted in the space cadet ethos of early Klaus Schulze (particularly Irrlicht and Cyborg): long, undulating waves of pure electronic sound awash in an ocean of filter sweeps, strange oscillations, and swells of white noise. The effect is truly cosmic and otherworldly, as if one were trapped in the heart of a computer hurtling through leagues of black space. The opening track “Re-entry at Nimbus Point” is especially evocative of this man/machine/space interface. The massive filter-swept drones of “Phobos Strain and the Elixir” are virtually earth-shattering, creating a sub-aqueous flow that sweeps the listener to Jupiter and beyond. “LEM” is perhaps even more sublimely cosmic, its eerie modulations and slowly evolving twitters of sound montage literally buzzing all across the stereo field. For lovers of early Schulze, Zeit-era Tangerine Dream and Morton Subotnick, Circuit Bent Analogue comes close to being a must listen.